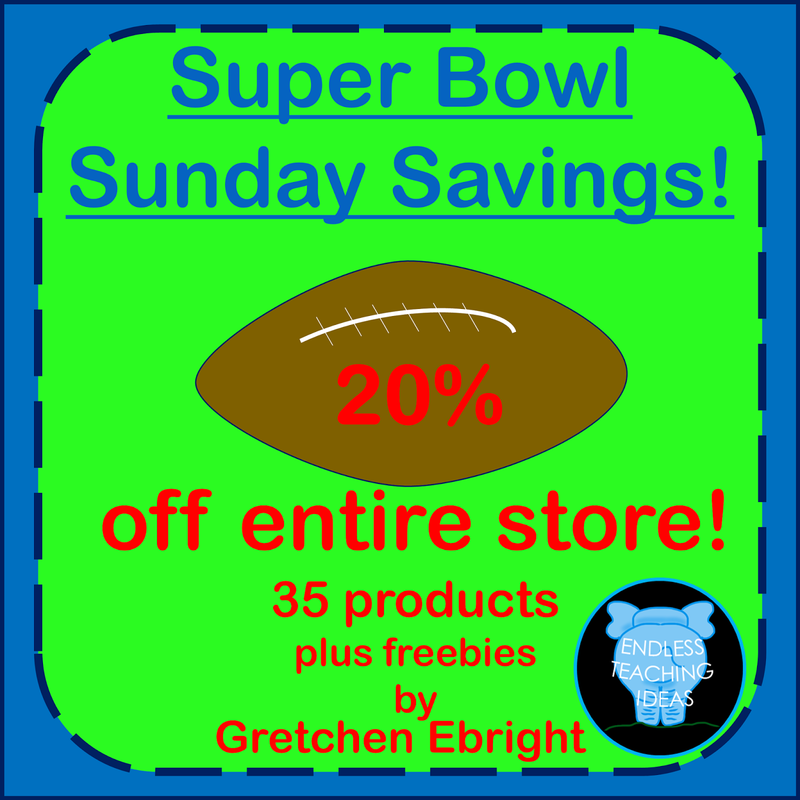 The Best of Teacher Entrepreneurs: SALE: SUPER BOWL SUNDAY SAVINGS! SALE: SUPER BOWL SUNDAY SAVINGS! EVERYTHING IN MY TPT SHOP IS ON SALE FOR A LIMITED TIME! CLICK HERE to go directly to my shop! Don't forget to FOLLOW my shop to receive forever freebies, sales updates and product launches!